To identify a disease in the field, the diagnostician must have academic training and extensive knowledge of various disciplines together with experience. One must remember that in Greek, diagnosis means ‘knowledge’. The extent of this knowledge is justified by the large number and diversity of the causes of diseases. Thus a good diagnostician needs to be informed of all symptoms and signs caused by disease. But expertise is not only related to the biology of pathogens (sources of contamination, modes of transmission, favorable weather) but also to understand the exact nature of the pathological context. The latter may be insufficient or inadequate, particularly in the context of a nonparasitic disease. Thanks to many observations and appropriate questions, the diagnostician will also be able to define the environmental and cultural conditions of the disease development. In fact, the diagnostician is a real detective, using a procedure constructed from his knowledge and especially his experience of diagnosis. It consists of progressive sequences of observations of the diseased plants and their different organs, of questions mainly intended to clarify the cultural context, and identifying possible hypothetical causes and prioritizing them. Allow readers to identify interactively parasitic and nonparasitic diseases of tomato common in the world from both descriptions and photos, thus avoiding the many possible causes of confusion in the diagnosis. 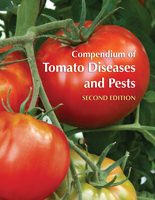 Make available a summary of recent knowledge on almost all of common and serious pests and pathogens on tomato. Help readers choose the methods of protection most relevant to control these pests. 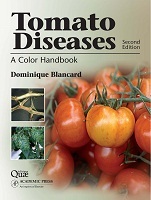 Contribute to each reader's development and level of expertise in the diagnosis of tomato diseases. The section diagnosing parasitic and nonparasitic diseases is designed as a true diagnostic tool, illustrated by more than 900 color photographs and numerous illustrations to aid the observation of the plants. This tool can easily be used as the symptoms are grouped under simple headings. It is also educational and should ultimately enable the reader to learn the many factors needed to establish a reliable diagnosis. The book draws the attention of prospective readers to the benefits of using the diagnostic method of diagnosing diseases by taking into account the symptoms that characterize them. Once identification is complete, the reader will find a detailed description for the majority of pests and pathogens in the third section, principles characteristics of pathogenic agents and methods of control. 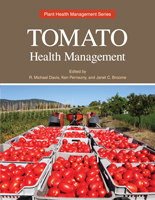 This section details the distribution and impact on tomato growing in the world, the main symptoms produced, and their morphological and biological characteristics. With this knowledge, readers will be able to choose the best suited control method and to define a protection strategy to be implemented immediately or during the next crop. The first and third sections are designed to raise awareness of the tomato plant and its botanical family and its cultivation, but especially the potential offered by the Solanaceae in term of resistance to the diseases.